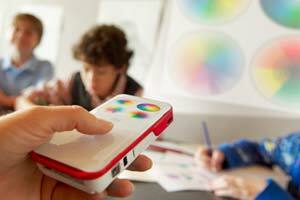 The next generation 3M™ Camcorder Projector is a camcorder, camera and projector, all in one. Create stunning HD video and photo content, then project and share it instantly — anywhere! See it. Believe it. Make it possible. The only connector is your finger. No downloading. No syncing. No waiting. Just press a button to start the show. And no more passing around a small screen — the up to 65″ projected screen means there’s room for everyone. Any surface is a screen. Now this is mobile entertainment. Project your image on a ceiling, a wall or even a T-shirt. Record a day at the beach and play back the highlights over cocktails — on a cocktail napkin! Works with other devices, too. Connect and project to enlarge your small screen. DVD players. Gaming consoles. Everything gets bigger with a simple connection. Sleepover in the backyard? Hook it up to a portable DVD player and project a movie right on the tent wall. It has “easy” all buttoned up. There’s a button for the camera. There’s a button for the camcorder. There’s a button for the projector. A few more for onscreen scrolling. And you’re done. 20 lumens for 100 minutes. With this tiny powerhouse, you can watch a full-length feature film that stays luminous, or create your own — which means you’re the director. And the projectionist. Handy for creating lots of memories. 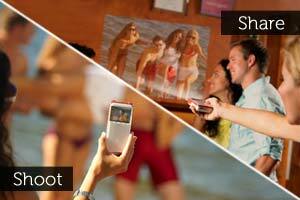 Shoot up to six 25-minute videos or snap up to 1000 photos. Expand the memory by popping in a microSD™ or microSDHC™ card. Now, if it could only remember where you left your purse. Oh, snap! You can take photos, too. Sure, the camcorder and projector parts are über-cool. 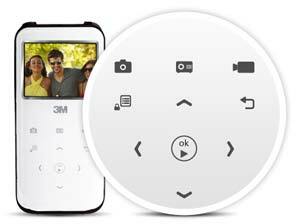 But don’t forget about the built-in 5MP camera. With fixed focus, LED flash and 4x digital zoom, it’s no slouch. Create a screen on the go — it’s small enough to throw in your bag or even your pocket. Well, depending on the size of your pocket. 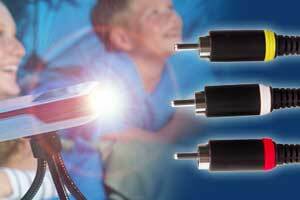 The 3M™ Camcorder Projector has a headphone jack that is both input and output. The included cable converts it to standard A/V connections, so you can project content from other devices.